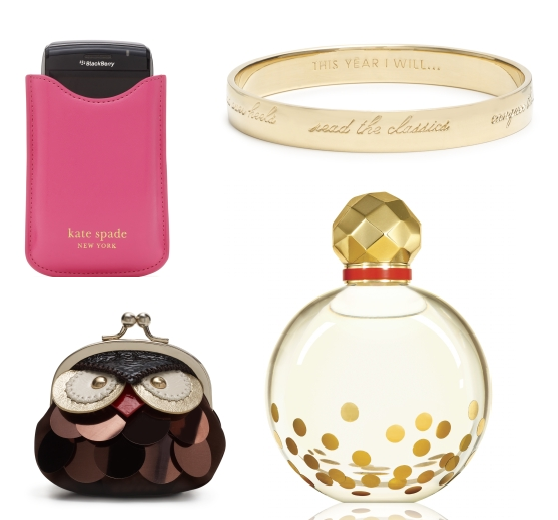 I’ve been good this year, and so I think I deserve some Kate Spade trinkets for the holidays. The blackberry pouch would be presented with my new blackberry, an anticipated graduation gift. The owl, in my stocking stuffer. The bangle for new years and the perfume just because (i have not actually smelled it yet but I trust Ms. Spade to the inth).